Show or not show count. 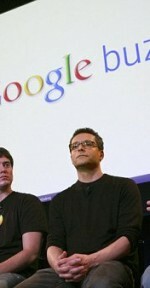 Google Buzz, a name that has been a buzz word since the launch. It looks like sooner or later people are going to embrace Buzz, those who will embrace it sooner will have an upper edge. Anyway, I am the Buzz admirer and hence I decided to share few cool Buzz tips with everyone, whether you are a Buzz fan or not these tips will be useful for you. If you like me don’t want to see Buzz updates in your inbox and keep your inbox and Buzz separated you will definitely love this tip which I first read on LifeHacker. Just create a filter with “label:Buzz” and select “Skip Inbox”. For more detailed step by step tutorial read Hide/Remove Google Buzz Updates from Your Gmail Inbox on lifehacker. Buzz for mobile not only supports collapsing comments and Buzz but it also allows you to view Buzz updates from the nearby user. By viewing updates from nearby user the opportunities to connect with other people are endless. Try Buzz for mobile here. 4. Search Buzz from specific sources. Post your Buzz updates to Twitter in real time, just follow the steps below to setup posting buzz updates to twitter. 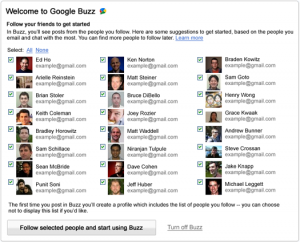 Follow the Google Buzz team, to stay updated on release of new Buzz features and tips and tricks from the Buzz team. You should follow me on Google Buzz, if you want to stay updated on Google Buzz developments and want to learn such new tricks every now and then. What do you think about these tips? Are they useful? Do you have any tricks to share? Google Buzz, the new social kid in town is very adorable and people are finding it useful. There was much of the hype created when Google first announced it that will go away and no one needs another social network. But looks like the Gmail users have proved this other wise. Not only they do use Google Buzz but they are also getting addicted to. Google Buzz which is still new and learning its way from user’s feedback to grown into a fully use social network. After the launch Google has announced second update to Google Buzz. 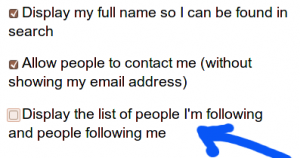 The biggest cry of Buzz users was that their was an auto follow setup for them, as soon as they signed up for Buzz they used to see that they are already following few people from their contact list. I myself didn’t like this feature but thanks fully Google has listened to the feedback and have stopped Auto Follow. Now the new Buzz user gets to see a list of Suggested Contacts, which the user can review and make changes to the selection to the list of people the user will follow. Until now if you had a Google Reader or Picasa account and you signed up for Buzz, Google automatically adds those two sites to your connected sites and hence share your public shares and photos on Buzz. But users don’t like most of the auto stuff and eventually Google has to stop this auto connect feature too. Now if you want to connect your reader you can do it, but it won’t be auto connected on signup. 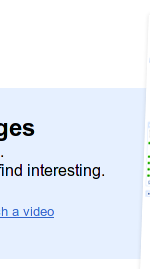 The most important update in mew opinion is the new Buzz Tab under Gmail Settings. The first time I signed up I went to the settings page to see what configuration options are available for me but I was very disappointed to see no Buzz configuration options under Gmail Settings. But once again Google have responded to the Feedback and this time very quickly and have added Buzz Settings Tab under Gmail. The new features are still not rolled out to everyone yet and will be rolled out this week. There are still many basic features missing in Google Buzz, but Google Buzz time seems to be working very hard to make every required feature available ASAP to make the Buzz experience more Buzzier. Have you signed up for Buzz yet? How was your experience? What are the new features you would like to see in Buzz? Google Buzz is the new buzz out there, but it comes with its privacy flaw. 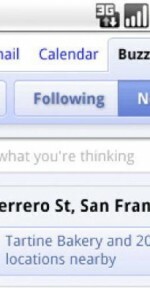 Imagine everyone out there able to see your contacts, by simply visiting your Google Profile. Its a nightmare for many of us, I don’t want everyone to get to know about my contacts and I am sure you don’t want this either. Let me show you how can stop Google Buzz from displaying your contacts to everyone. If you goto your Google profile, you will find out that anyone can see your contacts by clicking on the “People you are following” or “People following you” links. To stop Google Buzz from display your contacts click on the “Edit Profile”. Then uncheck the checkbox saying “Display the list of people I’m following and people following me”. Then click “Save Changes” button at the bottom of the page. You should now see the links but with the text that only visible to you. 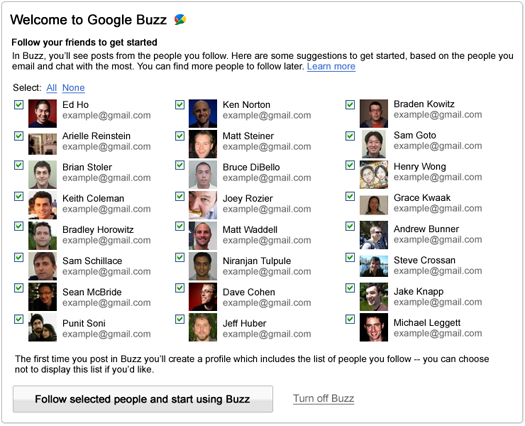 Congratulations you have just stopped Google Buzz from displaying your contacts to everyone. Do you think it was a privacy flaw? Or it was a feature of Google Buzz? Will you disable display of your contacts?